Location: 27 km/17 Miles NW of City. Airport Overview: 2 terminals, 1 & 3. All Air Canada flights operate from terminal 1. Most International flights other than Air Canada use T3. terminal 2 has now been demolished. Terminal 1 is on 3 levels: The upper level (level 3) is for check-in and departures, the middle level (level 2) is for arrivals and Airport Express Buses, the basement level (level 1) is for public buses etc. Terminal 3 is also on 3 levels. The upper level (level 3) is for the Sheraton Hotel only. The middle level (level 2) is for departures. The lower level (level 1) is for arrivals and buses/taxis/rental cars. Transfer between terminals: A free train runs between the upper/departures levels of terminals 1 and 3. It runs every 10 mins 24 hours a day. General: Taxis wait outside the baggage reclaim areas of both terminals 1 and 3. At Terminal 1, taxis wait by doors A & F on the middle level (level 2). Pre-arranged taxis can be met at door D.
Taxi Meters: Meters are used for trips. Approximate Costs: Taxis to and from the airport are metered, but typically CAD$45-55/30 mins+. There are maps posted outside the terminals showing the cost to various parts of the city. See fare map. Taxi Companies: Co-Op Cabs 416 504 2667, Crown Cabs 416 750 7878. General: At Terminal 1, limos wait by doors B & F. Pre-arranged limos can be met at door D. At Terminal 3, they pick up on the lower level at Pillar 35. Airborne Limousine Services: provides Sedan cars from the airport to points all over the Toronto area. Typical fares: Downtown C$43, Beaches C$47, Barrie C$110, Hamilton $85, Niagara Falls $150. There are maps posted at the limo pick up areas with approximate fares. See fare map. Other Limo Companies: Classique Transit, 1 800 387 5450 or (905) 427 6800. Genuine Limousine Service Tel 416 219 1562 or 1 877 927 7757. Speedy Limousine Tel (416) 834 0545. Bus Stops: Airport Express Buses pick up from the middle/arrivals level of Terminal 1, outside doors B or E. At Terminal 3, they pick up on the lower level (level 1) at pillar 27. Airport Express Bus: Bus which runs a circuit around central Toronto before heading to the terminals. Route: Airport Terminal 3 (Arera 25) - Terminal 1 (Arrivals level B & E) - Westin Harbour Castle - Fairmont Royal York Hotel (for Train station) - Intercontinental Hotel, Front St - Holiday Inn on King - Sheraton Centre - Metropolitan Hotel - U of T Residence (Chestnut St) - Bus Terminal (Elizabeth St) - Delta Chelsea Inn - Bond Place - Sheraton Centre (Hilton Hotel) - Holiday Inn on King - Intercontinental Hotel, Front St - Fairmont Royal York Hotel - Westin Harbour Castle - Airport. Timings from the Airport: Buses leave the airport (Terminal 3) daily every 30 mins 0455-1155, then every 20 mins until 2055, then every 30 mins until 0055. Buses leave the airport (Terminal 1) daily every 30 mins 0500-1200, then every 20 mins until 2100, then every 30 mins until 0100. Timings to the Airport: Buses leave Delta Chelsea Inn daily every 30 mins 0405-1225, then every 20 mins until 2035, then every 30 mins until 0005. Buses leave the Sheraton centre 10 mins later. Buses leave the Fairmont Royal York daily every 30 mins 0430-1300, then every 20 mins until 2100, then every 30 mins until 0030. Buses leave Westin Harbour Castle daily every 30 mins 0440-1310, then every 20 mins until 2110, then every 30 mins until 0040. Buses arrive at the airport 30 mins later. Travel Times: To the Westin Harbopur Castle ~30 mins, Delta Chelsea Inn ~1 hour. Travel times can be much more in traffic. Cost: Adult one way from $26.95/$22.75 if booked in advance online (valid for 30 days). Round trip $44.95, $37.95 if booked in advance online (valid for one year). 10 trip book $174.95. (valid one year). Children 11 and under travelling with an adult are free. Students and seniors 10% discount on one way fares only. Buy online and save 10%. Contact: Tel (905) 564 6333 or see www.torontoairportexpress.com. Bus Stops: Local Buses stop on the basement level of Terminal 1, across 1 roadway from door S or R. At terminal 3, they stop on the lower level (level 1) across the road from the terminal near pillar C12. Schedules are posted by the bus stop. Bus 7 to Westwood Mall & Mississauga: Route: Westwood Mall - Airport Terminals 1 & 3 (lower levels) - Eglinton Ave - SMississauga Transit Terminal. Timings: Buses leave the airport heading south towards Mississauga Mon-Fri every 15-30 mins 0550-0026. Saturdays every hour 0717-2217. Sundays every hour or so 1037-2237. Buses leave the airport heading north towards Westwood Mall Mon-Fri every 15-30 mins 0635-0047. Saturdays every hour or so 0640-2335. Sundays every hour or so 0930-2130. Cost: $4. Contact: Operated by Mississauga Transit Tel (905) 615 INFO. Bus 58A - Malton Bus to Lawrence West: Route: Westwood Mall - Airport Terminals 1 and 3 - Dixon Rd - Lawrence Ave West - Lawrence West Metro Station on the Spadina subway line. Timings: Buses leave the airport heading west towards Westwood Mall infrequently. Buses run between the airport and Lawrence West Mon-Fri every 8-30 mins 0518-0155. Saturdays every 18-60 mins 0554-2336. Sundays every 20-67 mins 0558-0139. Schedule leaving Airport heading East & Schedule leaving Lawrence West Station. Travel time is ~45 mins. Cost: Adult $2.75, student or senior $1.85. Child $0.70. Contact: Operated by TTC, www.ttc.ca. Bus 192 - Airport Rocket to Kipling: Route: Airport Terminals 1 and 3 - Kipling Station - Bloor-Danforth Subway Station. Timings: Runs all day, every 45 mins, between Kipling Metro Station and the Airport. Buses stop only at Kipling station, Dundas West & East Mall Crescent, and the airport. Buses leave the airport Mon-Fri every 20 mins 0537-0201. Saturdays every 20 mins 0537-0159. Sundays every 20 mins 0817-0158. Travel time is ~20 mins. After this service finishes at night, the service becomes the 300A providing 1/2 hour service to Toronto airport all night. Schedule leaving Airport & Schedule leaving Kipling Station. Bus 300/300A - Bloor- Danforth: Route: Airport Terminals 1 and 3 - Kipling - Jane - Dundas West - St George - Bloor/Yonge - Broadview - Main St Stations and Danforth Rd. Timings: Runs every 30 mins only at night. Mon-Sat 0223-0423. Sundays 0223-0825. Schedule. Bus 307 to Eglinton (Night Bus): Provides overnight service between Eglinton Metro Station on the Yonge subway line and the Airport. Route: Airport Terminals 1 and 3 - Renforth Dr - Eglinton Ave West - Eglinton West Metro Station (on the Spadine Line) - Eglinton West Metro Station (Yonge Line). Timings: Buses leave the airport daily every 30 mins 0230-0500. Travel time is ~45 mins. Schedule leaving Airport Schedule leaving Eglinton Station. Contact: Operated by TTC, www.ttc.ca. Brampton GO Transit Bus: Route: Brampton - Bramalea - Malton - Airport - Yorkdale - York Mills. Timings: It operates every 30-60 mins, from ~0600-0100. Mon to Sat, and from ~0900-0100 on Sundays. Schedules. Travel time from Yorkdale station is ~30-35 mins, and from York Mills station ~40-45 mins. Cost: $2.80. Contact: For more info on GO Transit service, including fares, call GO Transit at 416-869-3200 or 1 888 GET ON GO (438-6646). Hotel Buses: Hotel Shuttles pick up on the basement level of Terminal 1, outside door P. At terminal 3, they pick up on the lower level (level 1) near pillar C22. Many hotels run shuttles on demand (call first) including: Best Western, Comfort Hotel Airport North, Delta Toronto Airport West, 4 Points by Sheraton, Hilton Toronto Airport, Novotel Toronto Airport, Holiday Inn Express, Park Plaza Toronto Airport, Hampton Inn etc. The following hotels run shuttles every 15 or 30 mins: Holiday Inn Toronto Airport East, Quality Suites Toronto Airport, Radisson Suite Hotel Toronto Airport, Courtyard by Marriott Toronto Airport, Renaissance Toronto Airport Hotel & Toronto Airport Marriott Hotel. Bus Stops: Long Distance Buses stop on the basement level of Terminal 1, outside door P. There is a desk on the lower level of Terminal 3. The Robert Q Airbus to Detroit on 2 routes: Windsor Route: Toronto Airport - London South - Chatham - Tilbury - Windsor - Detroit Airport. Timings: Buses leave Toronto Airport Daily at 0730, 1000, 1430, 1700, 1815, 2200, 2330, 0215 & 0430. Buses leave Detroit Metro Airport daily at 0445, 0630, 0845, 1300, 1430, 1715, 2000 & 2345. Cost/Travel Time: To Windsor ($70 Adult one-way/3:55), Chatham ($62/3:10), Tilbury ($68/3:25) & London ($53/~2 hrs). Contact: Tel (519) 673 6804 or 1-800 265 4948. 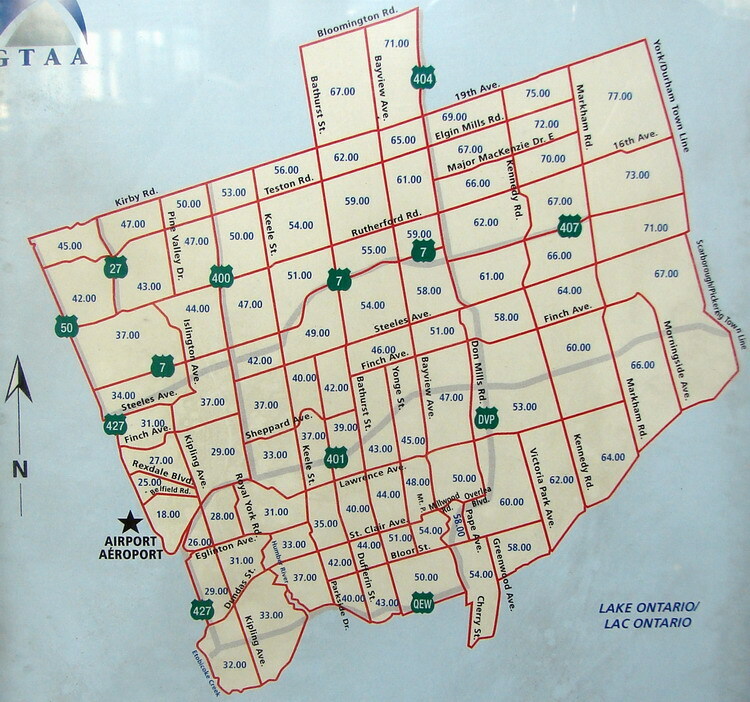 Sarnia Route: Toronto Airport - London Main - London South - Sarnia (Best Western Hotel) - Detroit Airport. Timings: Buses leave Toronto Airport Daily at 0730, 1200, 1545, 1815, 2100 & 0215. Buses leave Detroit Metro Airport daily at 0115, 1045, 1830 & 2200. Cost/Travel Time: To Sarnia ($62/~3:45), Strathroy ($58/~3 hrs), London ($53/~2 hrs). Contact: Tel (519) 673 6804 or 1-800 265 4948. Coach Canada to Kingston: Route: Toronto Airport (Terminal 1 Post P6, ground level) - Toronto Airport (Terminal 3 Post C8) - Bowmanville - Port Hope - Cocourg - Grafton - Colborne - Trenton - Belleville (Transit Terminal) - Marysville - Napanee - Odessa - Kingston (1175 John Counter Blvd). Timings: Buses leave the airport daily at 1430, 1900 & 2130. Buses leave Kingston daily at 0140, 0600 & 1130. Travel Times: To Belleville ~3 hrs & Kingston ~4 hrs. Contact: Tel (705) 748 6411 or 1 800 461 7661. 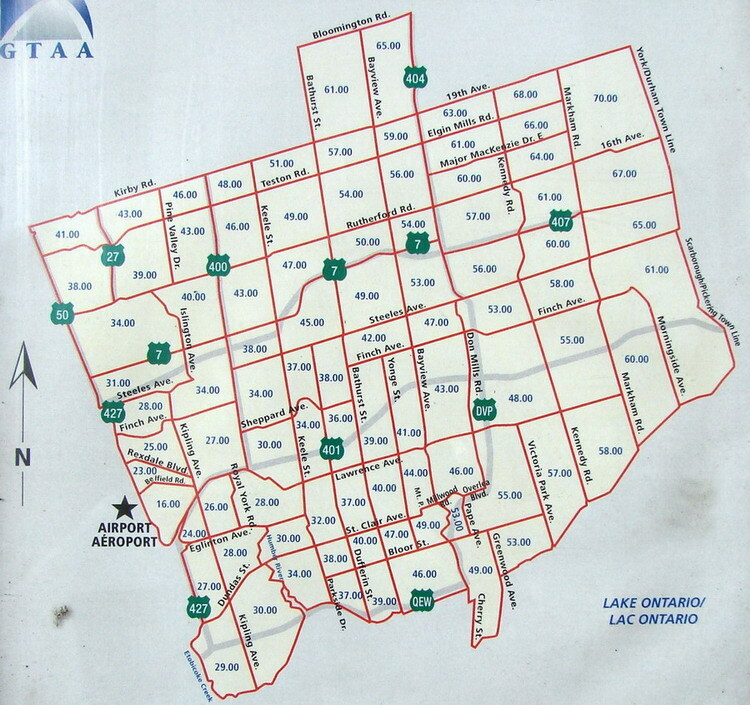 Niagara Airbus: Runs from the Airport to the Niagara region. Contact: Tel (905) 677 8083. About Town Airport Express Van: runs to Detroit. Tel (519) 663 2244. Red Car Service: Runs door to door vans in the Toronto area. Contact: Tel (519) 824 9344. Coach Canada to Toronto Area: Offer a door to door service all over the Toronto area. Contact: Tel (705) 748 6411 or 1 800 461 7661. On-Airport Rental Car Providers: AVIS, Budget, Hertz, National/ALAMO & Dollar/Thrifty have desks in the short term car parks opposite terminal 1 and 3. Follow the signs. 5-10 minute walk. Off-Airport Rental Car Providers: Off airport car rental companies, such as ADVANTAGE, Discount/ACE, Enterprise, EZ Rent a Car, Fox Rent A Car & PAYLESS pick up at the car rental desks in the Terminal 1 car park, or near pillar C18 on the lower level of Terminal 3. General: Car Park shuttles pick up from the basement level of Terminal 1, outside door P. At Terminal 3, they pick up on the lower level at Pillar 31. Short Term: Short term car parks are across the road from Terminals 1 and 3. Long Term: Park'N'Fly runs remote parking at the airport. Tel 1 888 552 7275. Skyway Park airport parking. Tel 1 800 474 3820 or (416) 674 1754. Reduced Rate Parking with free shuttle to terminals at 6135 Airport Rd (opposite Term 3). CAD$13 per day, $59 per week. Call 905 612 5157 or see www.gtaa.com. Notes: ATMs/Cash machines in terminals 1 and 3. There is a bus transfer desk in Terminal 3 arrivals level. There are hotel booking boards in the arrivals level of terminals 1 and 3. Bureau de Change/Currency exchange in Terminal 3 arrivals. Baggage Storage: Left Luggage reported to be available in Terminals 1 and 3. Airport Hotels: Sheraton Hotel is opposite terminal 3. Other hotels close by are: Hilton Hotel, Holiday Inn Select, Westin, Travelodge, Quality Suites, Marriott, Courtyard by Marriott, Renaissance & Novotel. Airport Tax: An Airport Improvement Fee (AIF) is already included in your ticket price. Airport Tel No: +1 905 776 3506 or 416 247 7678 for Terminals 1 & 2, and 416 776 5100 for Terminal 3. Location: 25 km/16 Miles NE of City Centre. By Road: From the city centre follow the Gardiner Expressway eastbound and join the Don Valley Parkway Northbound. This becomes the 404 Northbound. Remain on the 404 and exit at 16th Ave for the airport. Takes 25 mins off-peak. By Taxi: Airborne Limousine Services provides Sedan cars from the airport to points all over the Toronto area. Call 1 800 461 7433 or 224 8166. Location: 3 km/2 Miles SW of the City Centre. Airport Overview: The airport is on a separate island, 100m across the water from Toronto city, and all passengers must reach it by means of a ferry. At the ferry terminal on the Toronto city side, is car parking and all transport facilities. There are no transport options available at the airport itself, other than flights. By Taxi: To the city centre/Union Station $9-10/10 mins. Toronto Taxis charge $3 for the first 170m, then $0.25 for each 170m and $0.25 for each 30 secs waiting. Taxis wait outside the ferry terminal on Bathurst St. when flights are due. Beck Taxi (416) 751 5555. By Ferry: Ferries run from the ferry terminal to the airport every 15 mins at 00, 15, 30 & 45, 0530-2400 daily. Ferries are free for foot passengers (whether airline passengers or not) and take 2 mins to cross to the island. Vehicles can be taken on the ferry for $10. The Ferry terminal is on Bathurst St.
Porter Airlines Bus: A free Porter Airlines shuttle runs from the ferry terminal to Union Train Station every 15-20 mins 0530-2230. If the last flight is delayed, the bus waits. Takes ~10 mins. Pick up from Union Station is on the corner of Station St & York St. Bus #509: Bus #509 runs from opposite the school on the corner of Bathurts St & Queens Quay West (3 mins walk from ferry terminal) to Exhibition. By Train: No trains serve the airport or ferry terminal, but Toronto's main train station, Union station is close to the airport, and reached by the free Porter Airlines Bus. Trains run all over Canada and to the USA. By Streetcar/Tram: The TTC Streetcar #511 runs along Queens Quay West and Bathurst st (3 mins walk from the ferry terminal, and opposite the school) from Bathurst station in the west to Union station in the East. Cost: $2.90. Day passes available. 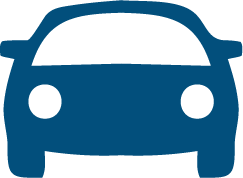 Off-Airport Rental Car Providers: None at the airport, or ferry terminal, but ALAMO/National & Hertz have rental offices at Union Station, 10 mins away by the free Porter Airlines shuttle bus. Car Parking: Available outside the ferry terminal. Cost: Outside the terminal: Daily flat rate $15. Bathurst St: Each 30 mins $3. Day rate (0500-1800) $15, night rate (1800-0500) $10. Notes: There is an ATM/Cash machine on the lower level of the ferry terminal. ◊This airport is sometimes called Island Airport. Location: 8 km/5Miles N of the City Centre. By Train: Downsview station is on the Yellow metro line. The station is close to the airport. Updated Oct00 Visit. Visited Airport..